Rosario, Batangas – The TechnoMart Field day for Carabao-based Enterprise in Rosario, Batangas held recently, highlighted the accomplishments of the Rosario Dairy Raisers Association (RODRA). RODRA’s success centers on its 653% increase in net income from 2012 to 2014 and increase in membership at 22 farmers in a year. The TechnoMart Field Day for the project, Enhancing the Carabao-based Dairy Enterprise in Rosario, Batangas through TechnoMart, was organized by the Philippine Council for Agriculture, Aquatic, and Natural Resources Research and Development of the Department of Science and Technology (DOST-PCAARRD) and the Philippine Carabao Center (PCC). DOST-PCAARRD funded the TechnoMart project which PCC implemented. The field day was held four years after the establishment of RODRA and aimed to sustain the carabao-based dairy enterprise in Rosario, Batangas. Dr. Melvin Carlos, Director of the Technology Transfer and Promotion Division (TTPD) of DOST-PCAARRD explained the history and importance of TechnoMart as one of the PCAARRD modalities in terms of expanding agricultural enterprise. Meanwhile, PCC Scientist Dr. Rosalina M. Lapitan presented the overview of the project and its accomplishments for 2014. 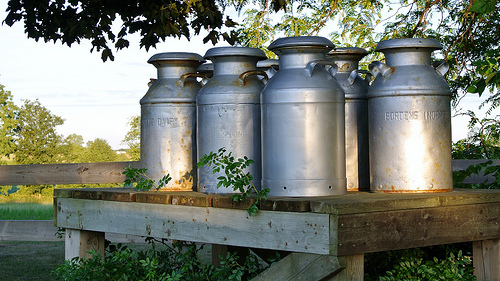 Volume of milk produced increased by 524%, a net change from 2012 to 2014. In 2012, only 266 liters of carabao’s milk were produced, compared with the 1,660 liters of carabao’s milk produced in 2014. Lapitan also said that farmers could sell their produce through the kiosk located at the waiting shed in front of the Rosario Municipal building. Maximino Alagar, the Barangay Captain of Mavalor, shared his experience in dairy carabao farming. He explained the support of DOST-PCAARRD and PCC has provided them in making carabao-based enterprise thrive in their town. Benigna Marasigan, the wife of the chairman of RODRA, Hilarion Marasigan, also shared how they collect 15 kg of dairy milk every day that sells for P600. Since February 2012 until May 2015, Marasigan said her family earned more or less P310,000 from their four dairy carabaos. Sharing the history of RODRA, Hilarion Marasigan narrated its humble beginnings when their mayor gave them seven Italian buffaloes and how later on, DOST-PCAARRD and PCC granted them 67 heads of carabaos.